People are always shocked to learn how widespread and easily available mobile technology is in “developing nations” like Bangladesh, Kenya, and Afghanistan. When my husband visited my city of birth, Dhaka last year he could not believe how many people had cell phones in a country where more than half of the population cannot access clean drinking water. Non-profit organizations are using mobile technology to spread development, allowing rural populations more access to their programs and basic health services. The advantages of having a mobile phone are endless, but how easily are these advantages available to women? Not without serious difficulties as a news story by Bloomberg News reports. The title of the news story, “Afghan Women Tolerate Beating for Wireless Phones in a $4 Billion New Market,” pretty much says it all, reflecting the barriers women in some countries in South & Central Asia, and Africa have in accessing technology that can increase their mobility and give them an income. “My husband’s family is very traditional,” Maryam, a 24-year-old Afghan woman told Bloomberg News. “They are very much against mobile phones and freedom for women.” So much so that when Maryam’s husband discovered her cell phone, he beat her with a whip. Men like Maryam’s husband’s should be worried. Information is power. Cell phones can be life changing for women in emerging markets because it allows them access to banking services, text messages alerting them when the communal water tap is working, and even sends them instructions in prenatal care. That’s a lot of women’s empowerment for some men in this part of the world who would prefer control stays well, in their control. But the world’s biggest telecommunications companies have noticed this huge untapped new market, and have begun to target female customers in the developing world. 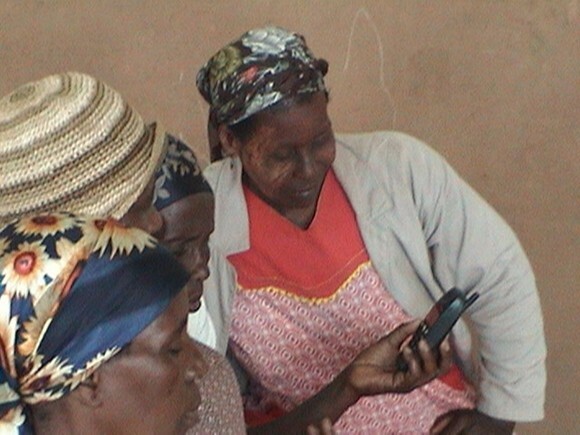 The GSMA’s MWomen program estimates that approximately 38 percent of women have cell phones in their 149 target countries in Africa, Asia, Latin America, the Middle East and Eastern Europe. MWomen found that women in these countries are 21 percent less likely than their male counterparts to have a handset. In the Afghan woman’s mind, mobile phone technology helps her to keep in touch with friends and can help her be entrepreneurial. In the Afghan man’s mind, the technology means he loses control of the woman. If the world’s largest cell phone companies have their way, soon women all over the world will be. Can I just say what a reduction to seek out somebody who actually knows what theyre talking about on the internet. You definitely know how one can convey a difficulty to mild and make it important. Extra folks need to learn this and understand this facet of the story. I cant believe youre no more well-liked since you definitely have the gift. I love the manner in which you have related this particular subject. Very discerning. Wow anushayspoint, what an awesome blog. Keep up the nice work! Hi, I\’m really glad I have found this info. A greatweb site with exciting content, this isthat\\\’s what I need. Thanks for making this web-site, and I will be visiting again. Have a good day ! Recently visited Bangladesh and was amazed at how prevalant and developed cell phone technology was – and cheap! I had internet in the middle of a village. garcinia cambogia Hi, I just found your weblog via yahoo. might be however certainly you’re going to a well-known blogger in the event you aren’t already.